Interesting debate developed out yesterday in the European Parliament’s Civil Liberties Committee about the concerns regarding the recently applied new Hungarian fundamental and cardinal laws. Really elevating to feel how strongly and sensitively our plural democratic Europe and its institutions guardianning and sentinelling the Grail of our European democracy, equality and freedom which are the diamond hard basements of our equal, multicultural, free and peaceful European Union. These principles are our most important basic European values. The most inspiring thoughts I marked with bold in the bellow quote, but of course the full text of the debate is really exceptionally worth and enjoyable to read. Nice mirror of the plural European democracy. Concerns as to whether the laws implementing Hungary’s new constitution are compatible with EU rules and values were raised by Civil Liberties Committee MEPs in a debate on Wednesday. Some MEPs proposed a “fundamental rights check” to determine whether there is a risk of a serious breach of EU values, while others favoured awaiting the European Commission’s analysis of the laws, due on 17 January, before judging “a decision taken by a sovereign country”. The Commission’s Director General for Justice, Françoise Le Bail, said that the Commission’s evaluation of the compliance of the Hungarian laws with EU law was focusing on three issues: measures to retire judges and prosecutors at 62 years old, rather than 70, the independence of the judiciary and the independence of the data protection authority. 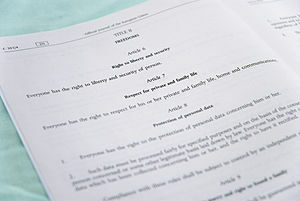 Replying to MEPs’ questions, Ms Le Bail explained that the retirement age measure was being checked against an EU directive on non-discrimination in employment, the independence of the judiciary one against Charter of Fundamental Rights Article 47 and the data protection authority one against the 1995 data protection directive. Ms Le Bail said that the compatibility of some of these measures with EU law was “questionable”, and promised that the Commission would complete its analysis in time for the College of Commissioners to decide on 17 January how to proceed with respect to Hungary. The Commission is prepared to make full use of its prerogatives, which could entail the launching of infringement procedures, she added. Risk of breach of EU values? “We don’t have to wait to see what the Commission is doing. Parliament is entitled by the Lisbon Treaty to take action”, said Renate Weber (ALDE, RO). She recalled issues such as the Hungarian media law, the Roma in France, upon which the Commission had begun very bluntly but lost momentum thereafter, and voiced concern over Hungary’s cardinal laws, which she said “would allow legislation to be cemented for the next hundred years”. Ms Weber added that the Commission should also test Hungary’s laws against EU Treaty Article 2, which states that the EU is founded on the values of respect for human dignity, freedom, democracy, equality, the rule of law and respect for human rights, including the rights of persons belonging to minorities. “There is every indication that Hungary will realign its legislation according to the Commission’s evaluation”, said Frank Engel (EPP, LU), adding that “I don’t see any reason for all this hysteria”. He proposed to wait until the “regular procedure is fulfilled” before coming to any conclusion “on a decision taken by a sovereign country”. “We needed this new constitution”, said Kinga Gál (EPP, HU), adding that “it can happen that there are mistakes, but I don’t think this can give raise to any affirmation or rumour saying that there is a breach of democracy and the rule of law in Hungary”. “The Charter of Fundamental Rights is primarily for the EU, not necessarily legally binding in this way for Member States“, said Axel Voss (EPP, DE), adding that “this should be addressed as a regular breach of the EU Treaties“. On the independence of the data protection supervisor, he said that “it should be discussed, but not in an exaggerated fashion”. “European law must be the cornerstone of our action”, he underlined. “Let the Commission do what it has to do”, urged Ms Gál, adding that “these issues should not be politicised” and that it is “very good” that the Commission, as guardian of the treaties, “follows this and says what needs to be changed”. “This is about the risk of breach of fundamental rights”, argued Sophie int’Veld (ALDE, NL), adding that activating Article 7 of the Treaty, in order to assess whether there is a risk of a serious breach of EU values, “would be justified”. “I support my group’s request for the application of Article 7. These are basic rights that should be respected by all Member States in Europe”, added Sonia Alfano (ALDE, IT). “We are facing a drift that is worrying this House”, said Rui Tavares (Greens/EFA, PT). “A dictatorial drift”, he added. “We see again and again that citizens expect us to act on fundamental rights”, he insisted, adding that “democracy means not only that majorities rule, it is also means that majorities change”. “Would a candidate country with this kind of laws have any chance to join the EU?”, he wondered. Mr Tavares also advocated applying Article 7, in order to determine whether there is a clear risk of a serious breach of the values on which the EU is founded. This would be an “alert procedure” for Hungary, he said. Kinga Göncz (S&D, HU), asked the Commission what it expected the Hungarian authorities to do after the legal analysis is concluded, suggesting that a more political answer would be required, and not just a legal one. In the previous year, there had been “cosmetic changes” to Hungary’s media law, she recalled, adding that this should be avoided now. Ms Göncz also asked the Commission to analyse Hungary’s electoral law and church law. Kyriacos Triantaphyllides (GUE/NGL, CY), asked whether the infringement of labour laws and attacks against political parties were being addressed by the Commission. Krisztina Morvai (NI, HU) also urged that the Hungarian people and workers should be heard. Csaba Sógor (EPP, RO), defended the media and religious laws passed by the Hungarian government. “There are nine Member States which recognise fewer churches than Hungary”, he said, adding that “in Hungary there is no state religion, as it happens in many other Member States”. He also claimed that the Club radio was not closed in Hungary. Ana Gomes (S&D, PT), voiced concerns about the electoral laws, which could render the main political opposition party illegal, she said, adding that this debate “is not against the Hungarian people, it is for the Hungarian people”. “What is happening in Hungary today is very serious for the European project and its universal values. This is a mutation of democracy”, said Louis Michel (ALDE, BE). József Szájer (EPP, HU), called on the European Parliament to “make an investigation before passing any judgement, as the Commission is doing”. “What Fidesz inherited is something that needed to be restructured, we needed to create a new state that is functional”, he stressed, noting that the Hungarian parliament had passed 230 laws and 30 cardinal laws. “If there are only these 4 or 5 mistakes that we are discussing, I think we did a very good job”, he concluded. We are talking about “shared principles and values” and “Parliament cannot turn a blind eye to what is happening”, said Birgit Sippel (S&D, DE), stressing that “this is not a discussion between the Commission and Hungary only. 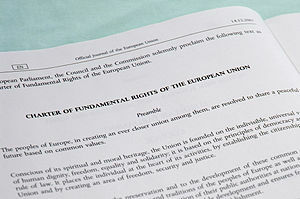 As the EU we lose all our credibility if one of our Member States is not respecting fundamental rights“. “This isn’t about Hungary, it is about any Member State of the EU having problems with fundamental rights. I think no other Member State would have been treated differently. The Copenhagen criteria do not disappear when a country joins the EU and Article 7 also allows the Parliament to initiate proceedings”, said Alexander Alvaro (ALDE, DE). Sophie int’Veld (ALDE, NL), observed that “Hungary took a sovereign decision to adhere to the EU treaties” and must therefore respect them. “The situation in Hungary is exceptionally serious”, but there are other Member States not respecting fundamental rights, se said, citing the treatment of Roma people in France or that of migrants and asylum seekers in her own country. Cornelia Ernst (GUE/NGL, DE), described the way in which the Roma issue had been handled as a “fiasco”, and called for action to prevent the treaties from being violated. 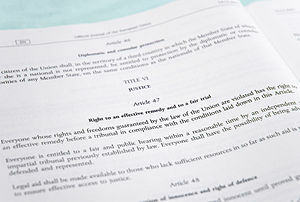 “We accept that this is not only a legal issue, it is both legal and political”, Ms Le Bail told MEPs after the debate. “What the Commission is expecting from Hungary is full compliance with EU laws, the wording and the spirit of the EU Treaties and with the Charter of Fundamental Rights”, she concluded. Hungary should not be treated as victim in satiation of a precedent. The current issues regarding Hungary bring to the surface several deep problems not only regarding Hungary but also the entire EU society. The issue is already to much politicised which is dangerous. Clear, proper, precise procedure should be fulfilled before judging and coming to any conclusion on decisions taken by a member of EU which is still a sovereign country also. Why I remark these? Because an exaggerating process and the early judging and the too much or hard political voices might even more destroy and harm the otherwise nowadays already extremely weak financial creditability of Hungary and the big bill for the hard words at the end will be paid by us Hungarians and all the Europeans and in London and New York the esteemed credit rating “institutions” usually does not wait till the end outcomes of a proper legal procedure with their decisions. I suggest to read carefully both. The Guradian UK Ester Kinsky: This Hungarian hangover could cost the EU more credibility than a failed euro.